Do you remember that little childhood song? We would sing it to tease someone who had a crush on a boy. We’d also sing it when playing patty cake to keep up with the beat. If you grew up believing in that song, you may have believed that every guy you meet who shows you attention will eventually be your husband and the father to your baby. Zoosk has a new commercial that reveals the truth about dating with the simplest tagline ever: “First Comes Like.” The idea is that a relationship doesn’t start off with love — it takes time to develop into something real. You start off as friends who just like spending time with each other. 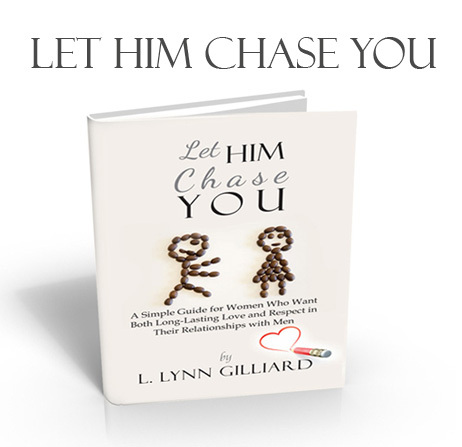 In my book Let Him Chase YOU I make the point that a special bond has to form between a woman and a man before a relationship blossoms. Before that, it’s just dating. It’s just fun. A lot of women make the mistake of sleeping with a guy before that bond forms, which is why they often find themselves dumped or ignored shortly thereafter. So take Zoosk’s simple advice: first comes like. Take it slow and allow a bond to form between you and the guy you’re interested in. Don’t rush things, just relax. And Let Him Chase YOU.